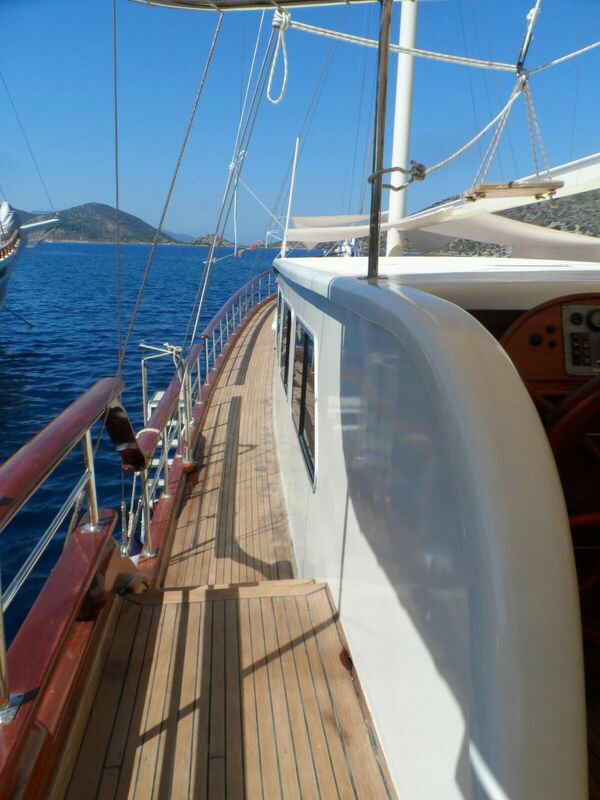 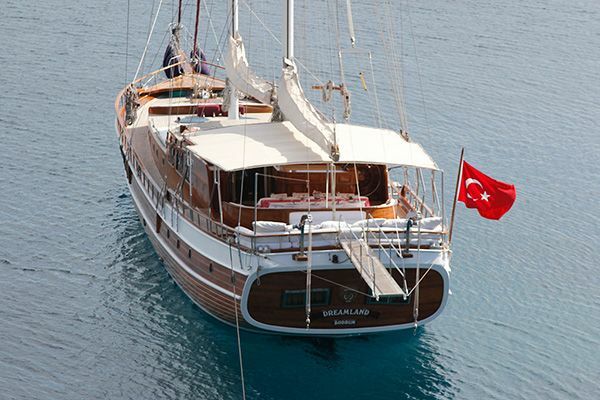 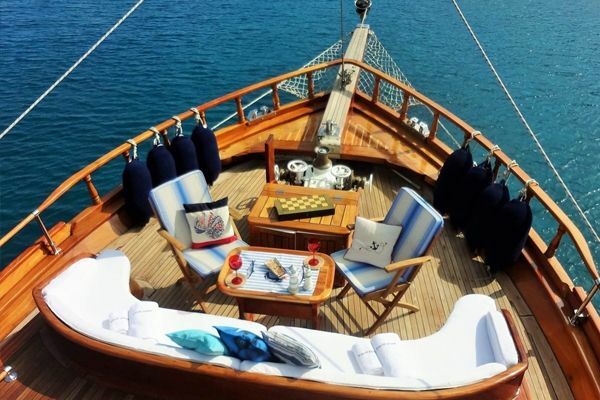 The luxury gulet Gazi Kaptan is a neat 30 meter, 8 cabin delight of a traditional Aegean yacht cruising out of Marmaris or other ports along the Mediterranean coast. 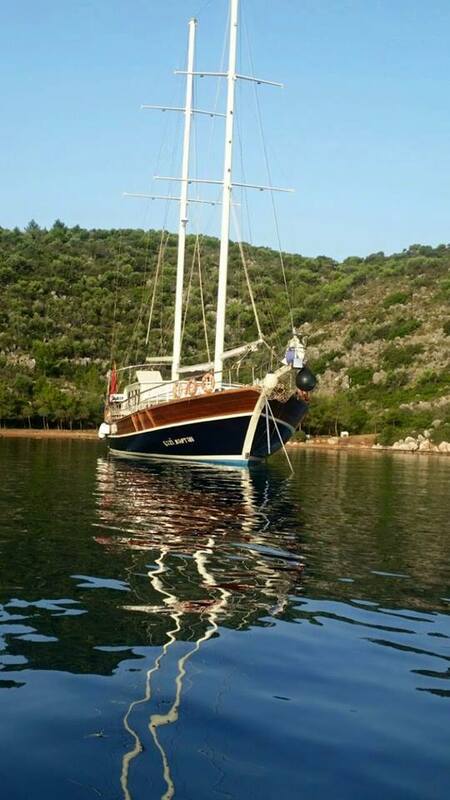 A complete refit in 2014 has seen Gazi Kaptan return to sparkling good looks with a trim dark blue hull complemented by the top deck built in all white coachwork and textiles, giving a very cool nautical feel in the shade on the stern cushions or sunning on the foredeck. 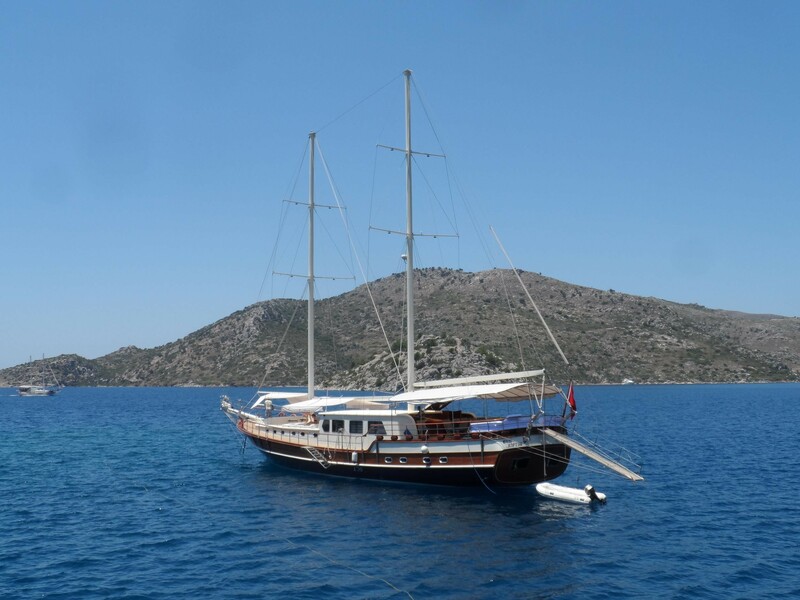 With eight similar sized cabins, six double bed and two twin bed cabins, the gulet is ideal for a large group or family to cruise along the Turkish coastline and enjoy the turquoise clear waters of the Mediterranean and Aegean. 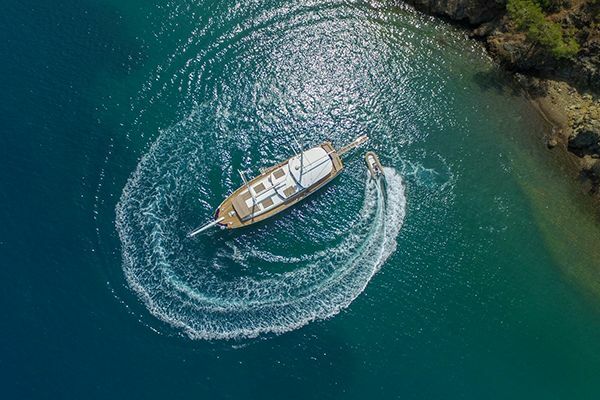 The Gazi Kaptan yacht is fully capable of motoring over to the Greek Islands of Rhodes and Symi, however the maximum number of guests is then limited to twelve. 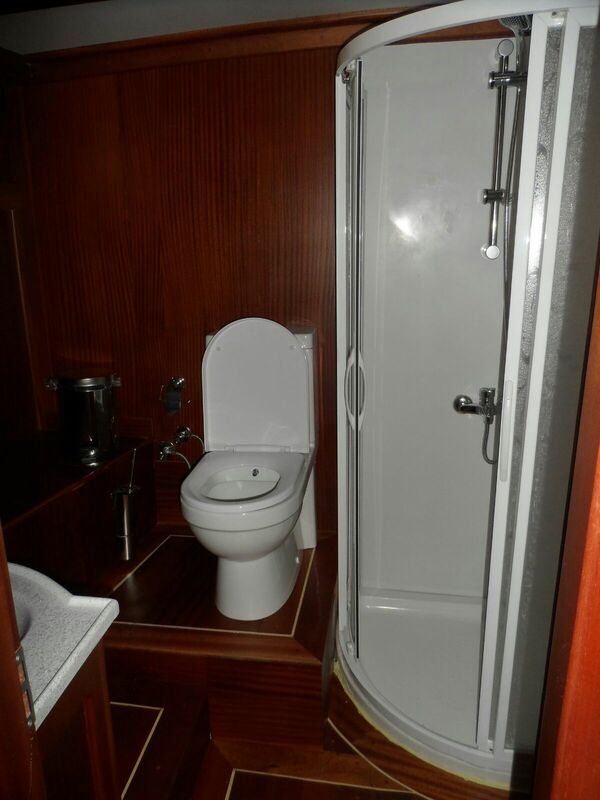 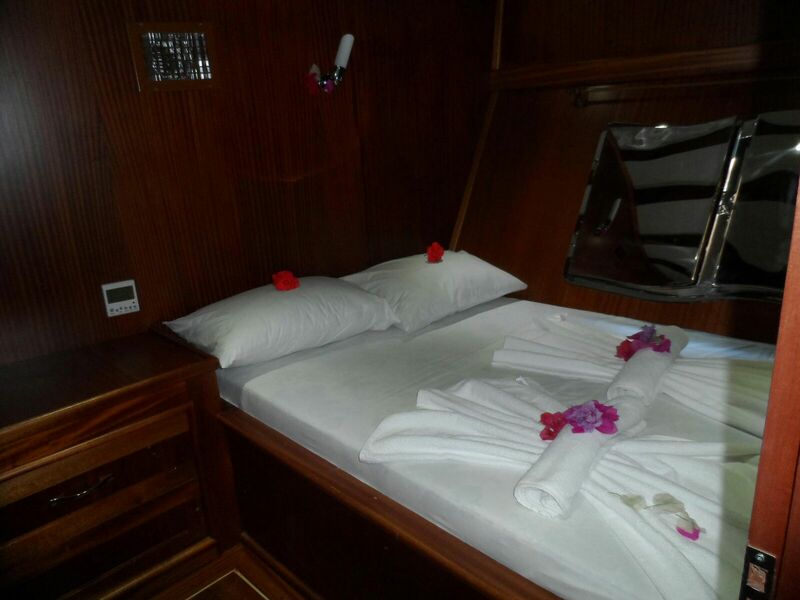 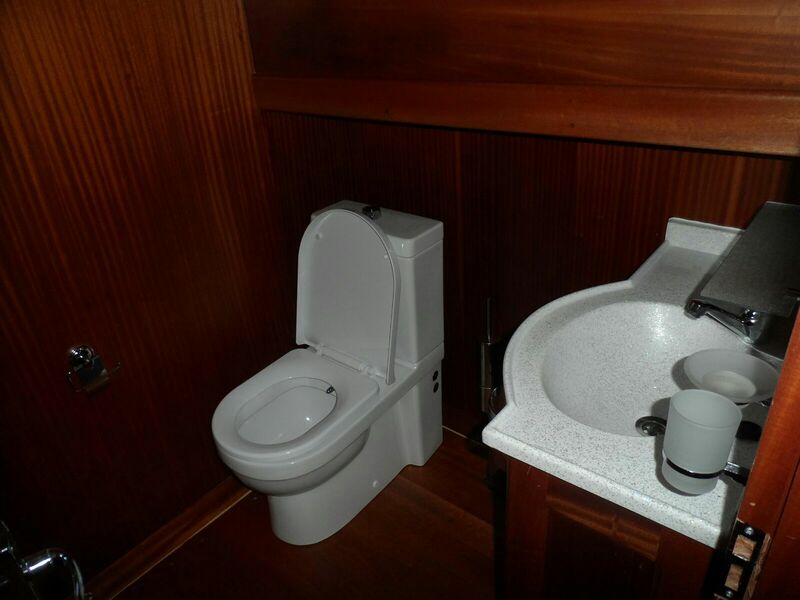 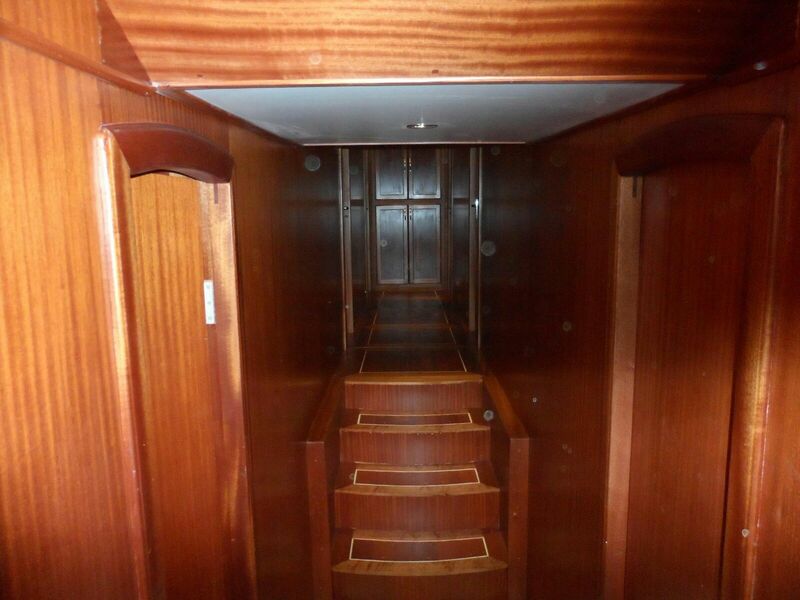 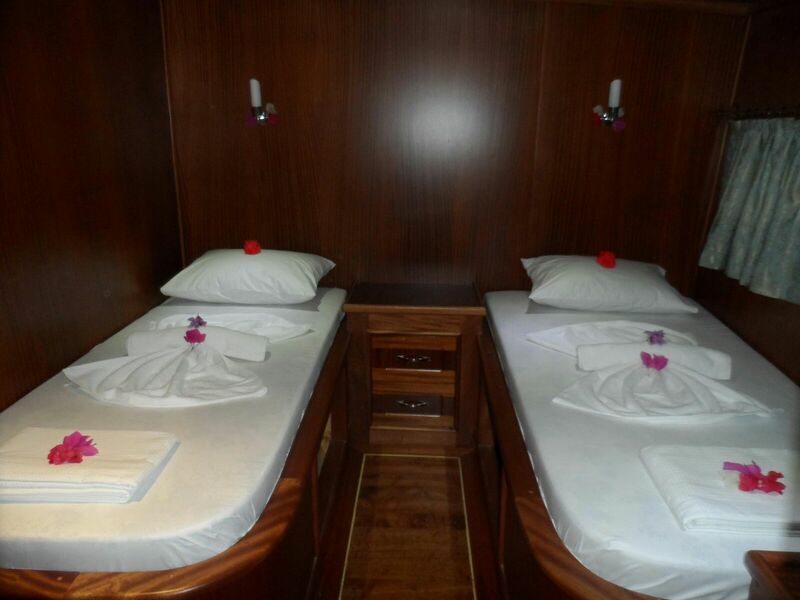 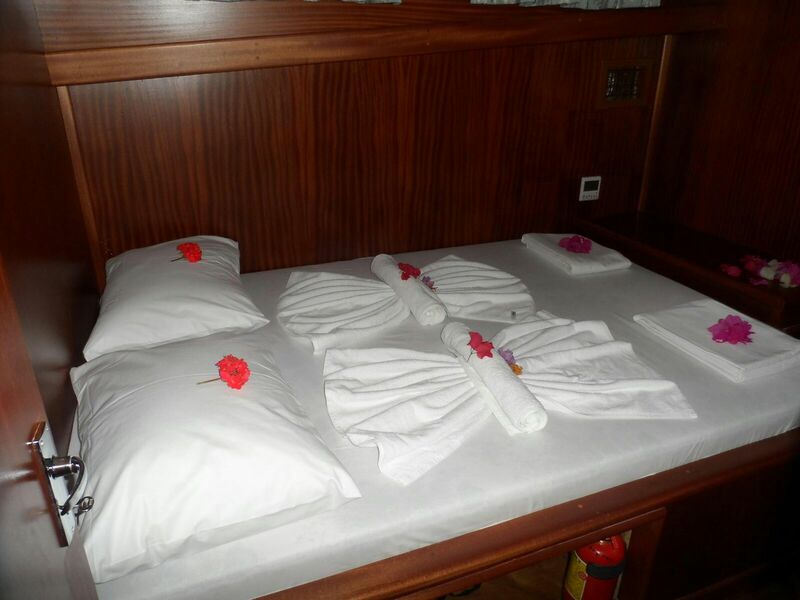 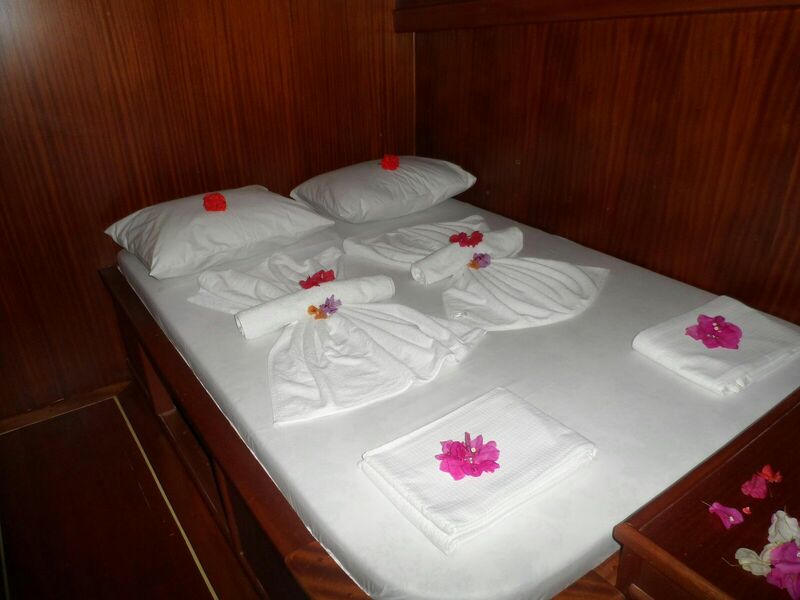 All comfortable wood paneled cabins have modern private bathrooms with shower cabins and toilets, and all have air-conditioning available as does the comfortable saloon with a comfortable bench seat around a large table for indoor dining, or relaxing with television, DVD and music systems. 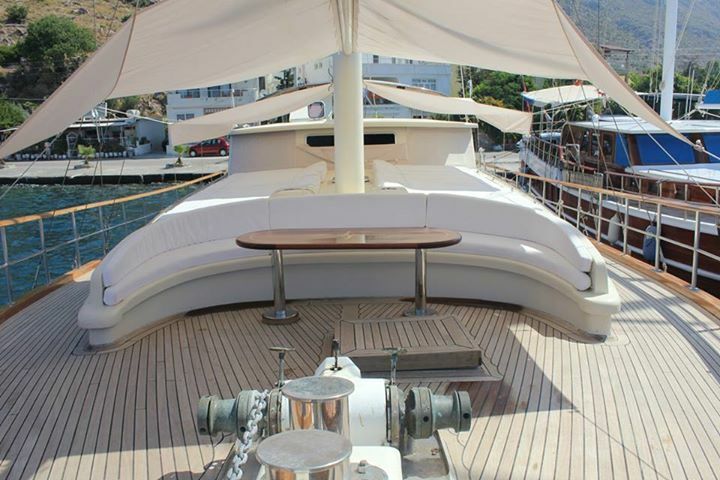 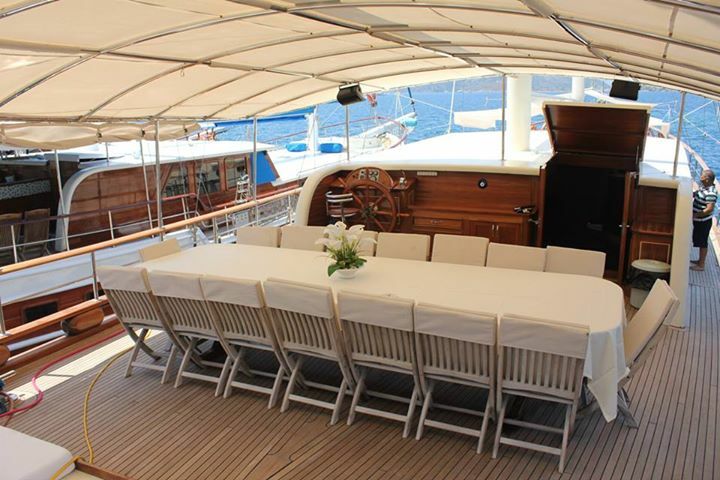 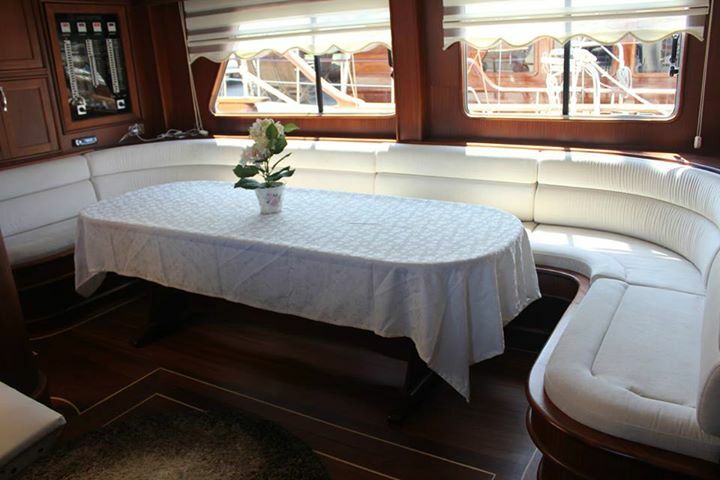 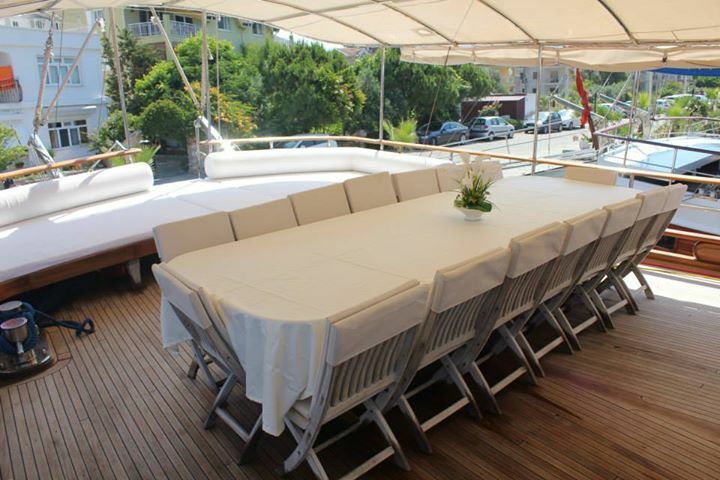 The fixed shade canopy over the aft deck ensures comfort for outdoor dining at the large table for up to sixteen guests, and for lounging on the cushions across the stern. 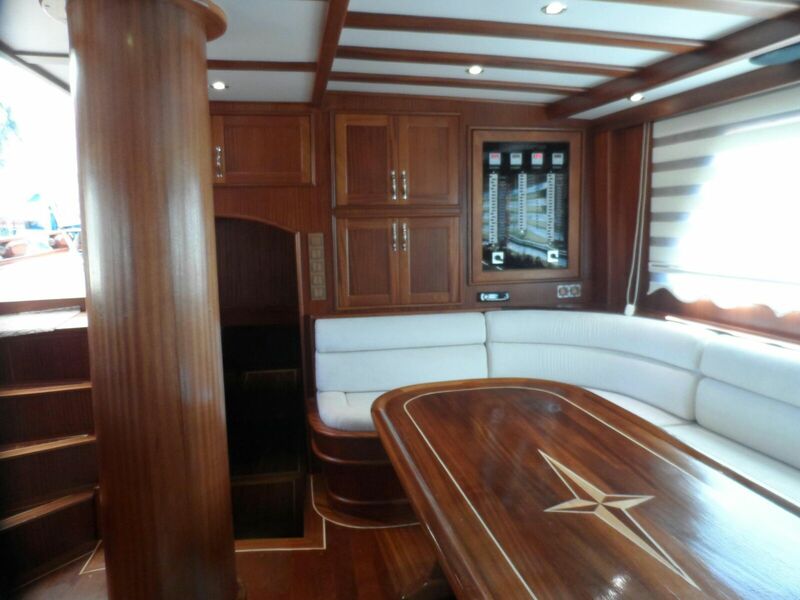 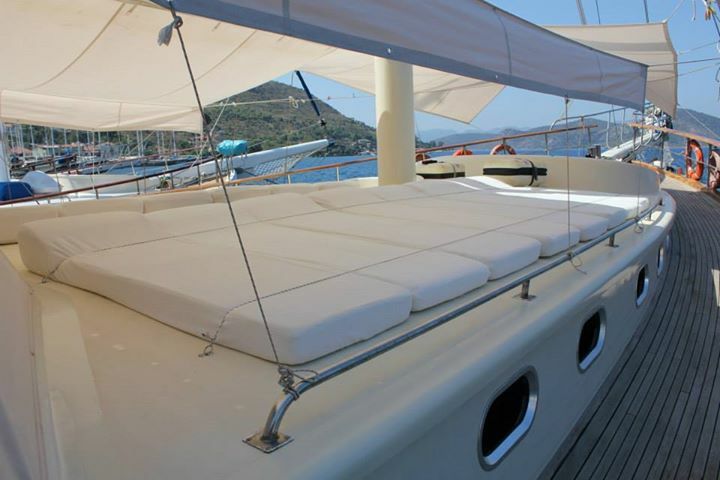 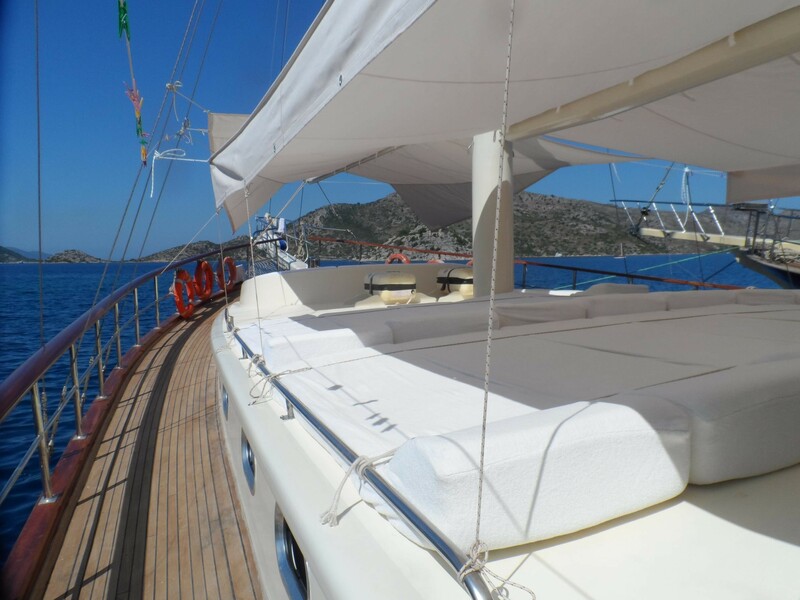 A tent over the sunbeds on foredeck is available, and a lovely spot for relaxing or chatting is found on the bow seat perfect for taking the views and enjoying the breeze. 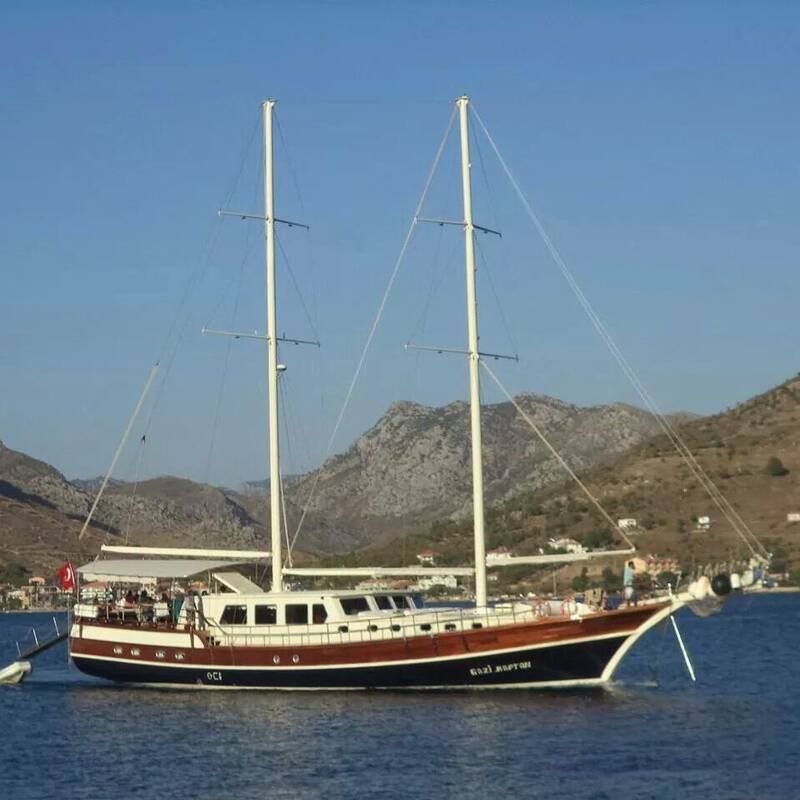 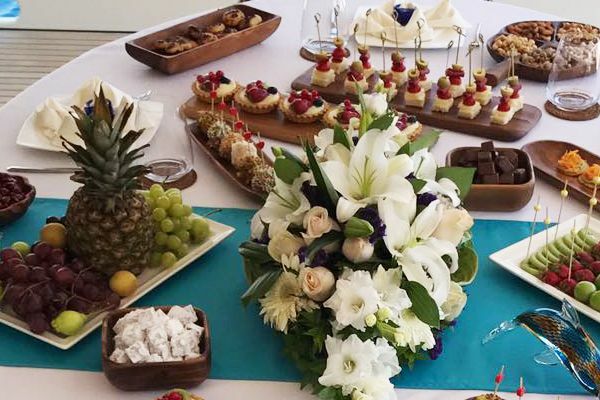 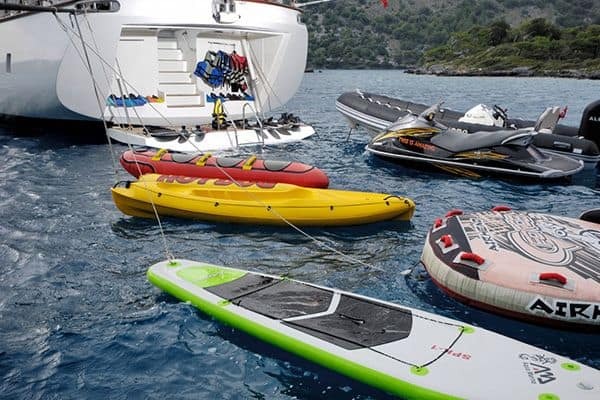 The crew of four on boat Gazi Kaptan will see to all the preparation and service of meals, cleaning and navigating the gulet to all the best bays and coves to give guests the best possible experience of a gulet cruise.